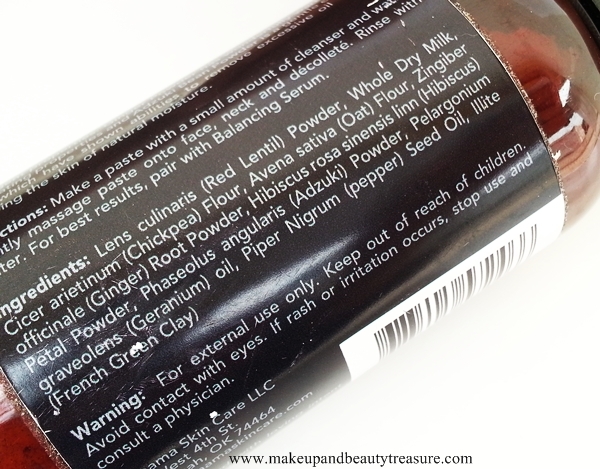 As I have acne prone skin, I am always on the lookout of natural skin care products. I have oily combination skin and I love cleansers that do not strip away natural oils off my skin. Kamama Skincare is a US natural skin care brand that follows Ayurveda in developing and making its products. Today I am going to review Kamama Skincare Hibiscus Ginger Cleanser $15/Rs 956* which is one of the best natural cleansers I have used for my oily skin. 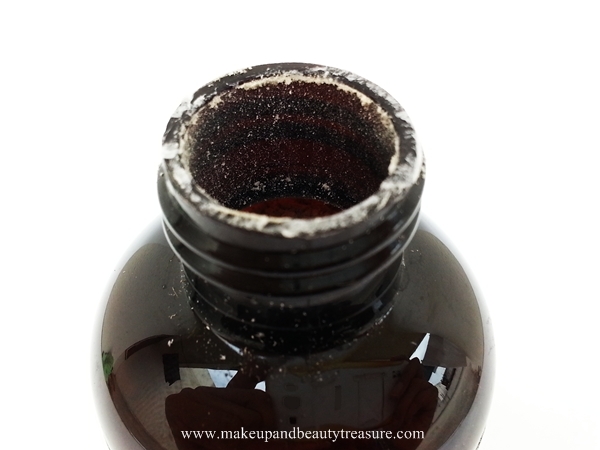 Kamama Skincare Hibiscus Ginger Cleanser comes in a sturdy, dark brown plastic bottle with a black screw off lid. The dark bottle preserves the aromatic and therapeutic properties of essential oil from sunlight. The product is filled to the brim and can be easily dispensed through a medium sized hole without any mess. The packaging is really light and can be easily carried around in a bag. The cleanser is light cream in color with fine granules and has a mild and mixed smell of hibiscus, lentils and essential oil. The cleanser is in powder form and feels very soft. I simply take a coin sized amount of cleanser on my wet palms, pour little water on it to make paste, rub together and massage it lightly onto my wet face. The powder feels soft and gentle on my skin just like I use a gentle exfoliator. It has very fine granules of Adzuki Bean Powder that do gentle exfoliation. I massage it with gentle hands as I use it daily. The scent is really calming and soothing to the senses. I then rinse it off with cold water, towel dry and follow it up with a good moisturizer. 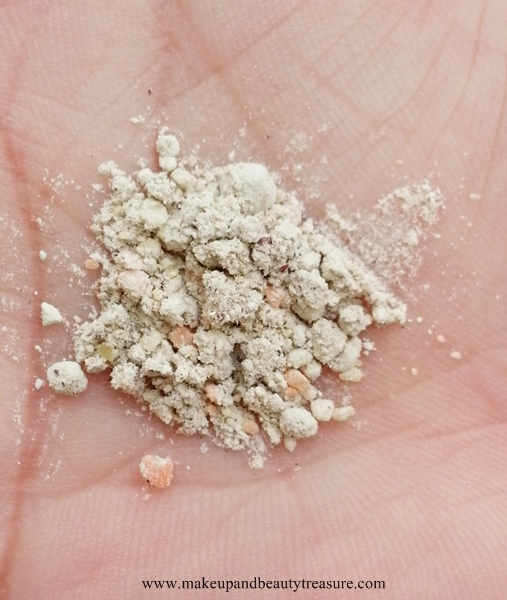 The powder does not create any lather and feels just like a homemade powder. My skin feels soft, smooth, clean and healthy. 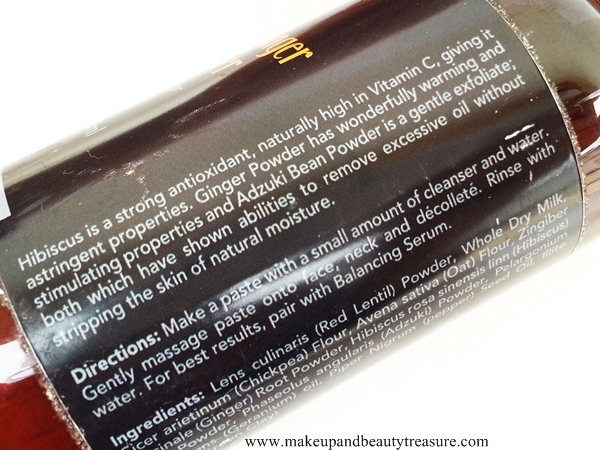 The powder thoroughly cleanses my oily skin, removes excess sebum and gives a healthy radiant look to it. It does not aggravate pimples and acne and lightens blemishes. It is easily rinsed away and does not leave any residue or stain behind. Every morning I wake up with oily T-zone and I always make sure not to use harsh cleansers to get rid of natural oils. This natural cleanser removes excess sebum without stripping the skin of natural oils. The scent does not linger and vanishes as soon as the powder is rinsed away. It cleanses and brightens up my skin really well. It does not dry out my skin and I do not feel the immediate urge to moisturize my skin. The texture of the cleanser is just like any clay pack due to the presence of French green clay which is great for oily skin. It contains Hibiscus which is a natural source of alpha-hydroxy acids (AHAs) that helps exfoliate skin, speed up cell turnover, and help control acne breakouts resulting in fresher, younger, and smoother looking skin. Ginger powder stimulates circulation and has a warming effect on the skin. I have not faced any adverse effect whilst using it. • Removes oil, dirt and grime off the skin. • Makes my skin clean, smooth and healthy. 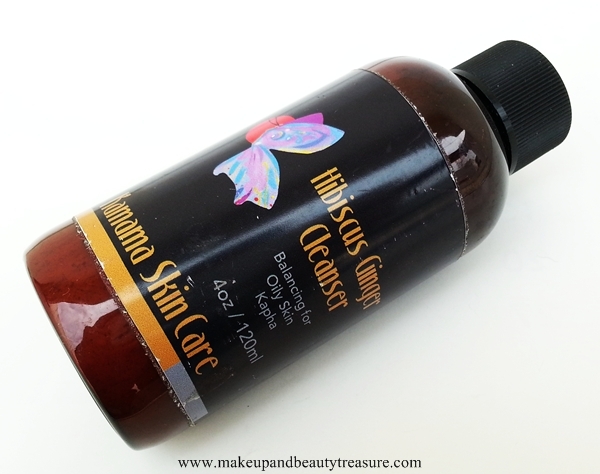 Kamama Skincare Hibiscus Ginger Cleanser is one the beat natural cleansers for oily skin. It not only cleanses the oily skin well but makes it smooth and healthy. It has fine mild granules that remove dead skin cell making skin look clean and refreshed. I would highly recommend it to people with oily and combination skin. 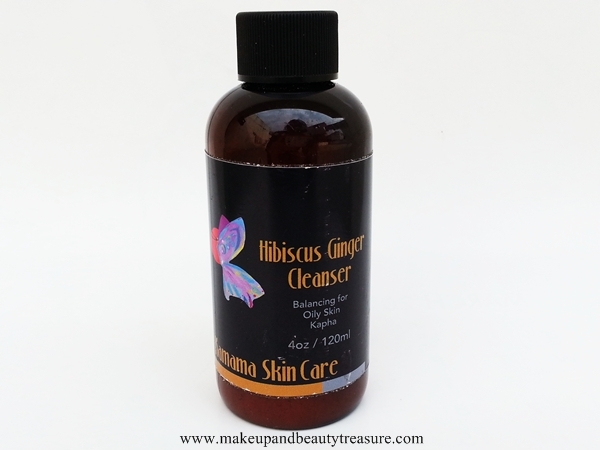 Have you tried Kamama Skincare Hibiscus Ginger Cleanser? How was your experience? Do you love natural cleansers? Share in the comments section below!